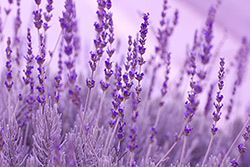 A study at United Hospital, St Paul, Minnesota, USA, has shown that the systematic use of lavandin essential oil (Lavandula x intermedia) can reduce preoperative anxiety in surgical patients. Preoperative anxiety is prevalent in surgical patients who may require anxiety medications, thus impacting preoperative teaching and patient satisfaction. No studies were found in a comprehensive search on the effect of essential oils on anxiety in the preoperative setting. The purpose of this experimental study was to investigate whether the essential oil of lavandin is more effective than standard care in reducing preoperative anxiety. A convenience sample of 150 adult patients were randomly assigned to either control (standard care), experimental (standard care plus lavandin essential oil), or sham (standard care plus jojoba oil) groups. Visual analog scales were used to assess anxiety on admission and operating theatre transfer. Controlling for baseline anxiety and pain, the lavandin group had significantly lower anxiety on operating theatre transfer, suggesting that lavandin is a simple, low-risk, cost-effective intervention with the potential to improve preoperative outcomes and increase patient satisfaction. Future studies should test the effects of lavandin in the postoperative phase and in specific populations with documented high anxiety. J Perianesth Nurs. 2009 Dec;24(6):348-55. The use of the essential oil lavandin to reduce preoperative anxiety in surgical patients. United Hospital, St Paul, MN, USA.